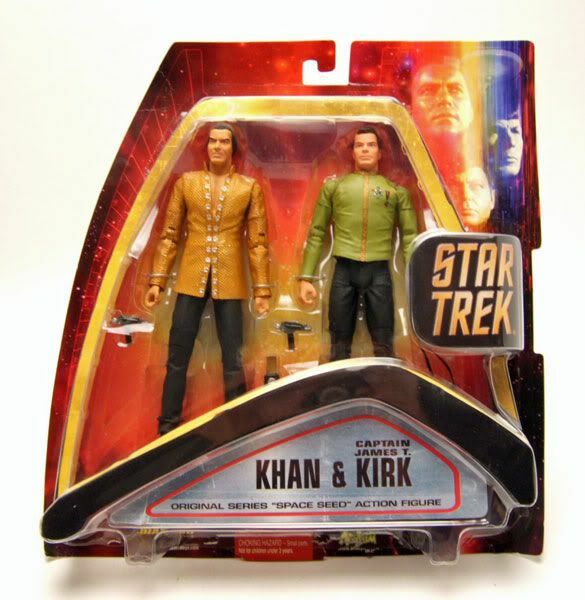 This Khan was released in a "Space Seed" figure 2-pack with a "Dress Uniform" Kirk. The figure reuses a little from the first outing, but there's enough new here to not really notice. 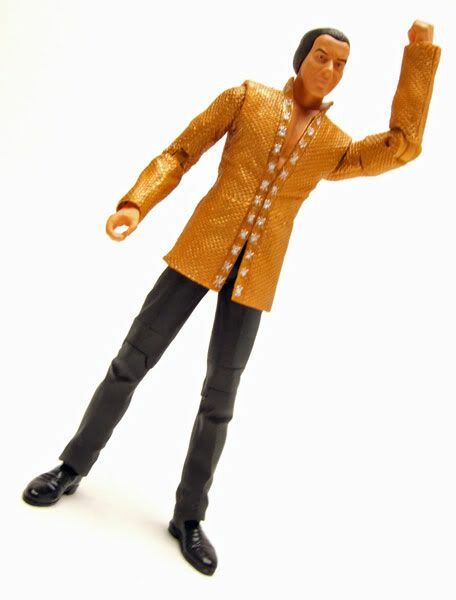 The gold shirt is really beautifully detailed with little individual depressions to form the texture of the shirt. It's just a flat out great sculpt and the proportions are pretty much perfect. 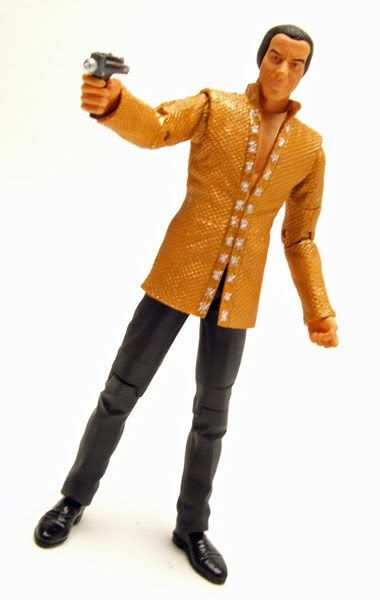 If there's anything to even slightly nitpick on the figure, it's that the shirt somewhat hinders his hip joints. It's not really a big deal though... I'd much rather have the accurate length on the shirt than have had them shorten it to make the hips work better. 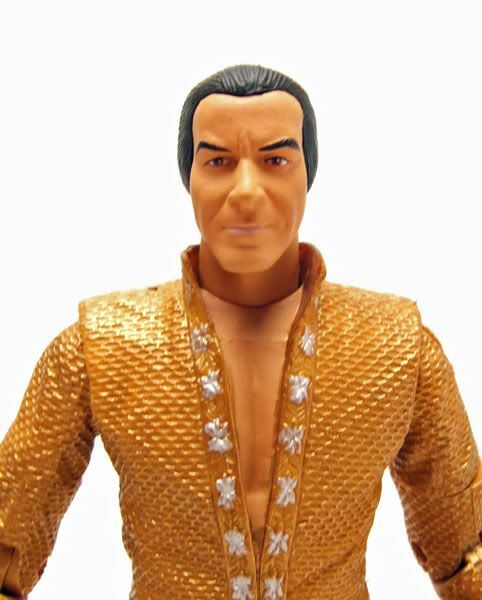 Oh, and thankfully it's not the rubbery material used on AA's Classic figures either, so that's another bonus. 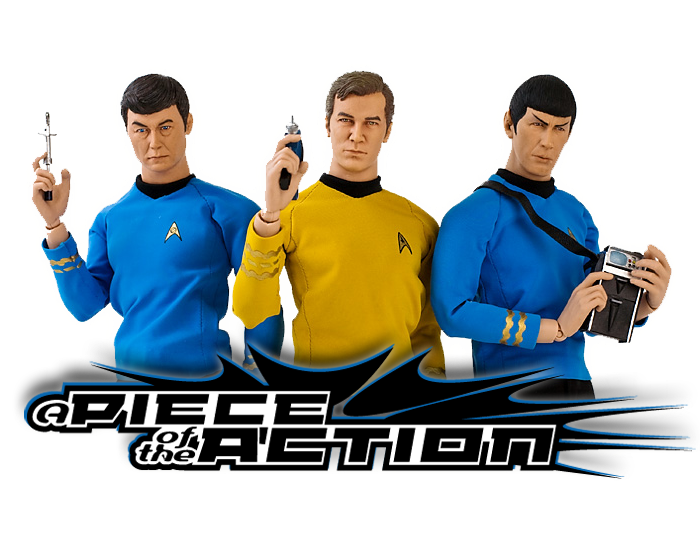 Accessories: Again, Khan just comes with a phaser (assuming the other accessories are meant for Kirk). 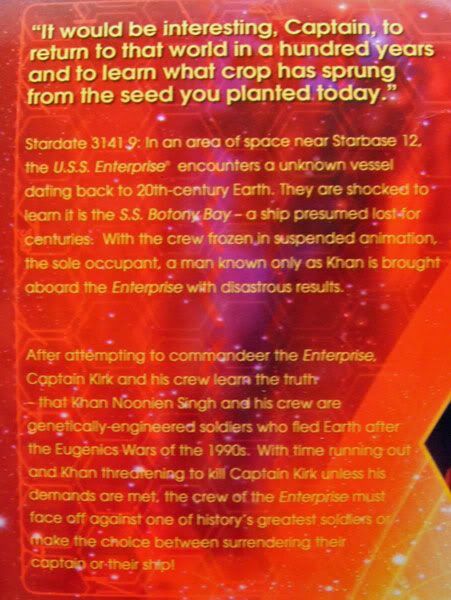 Khan doesn't need any stinking weapons though. 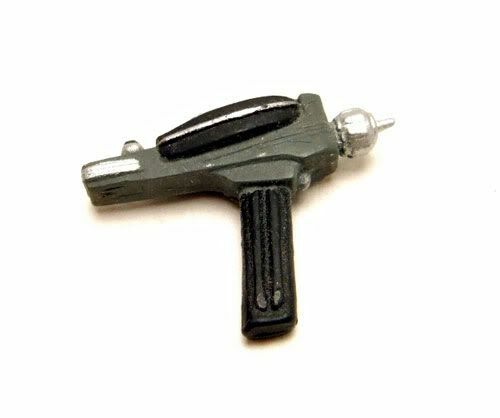 I'm assuming the phaser is just there for him to crush. Want to read the summary on the package? So, yeah, this figure rocks. 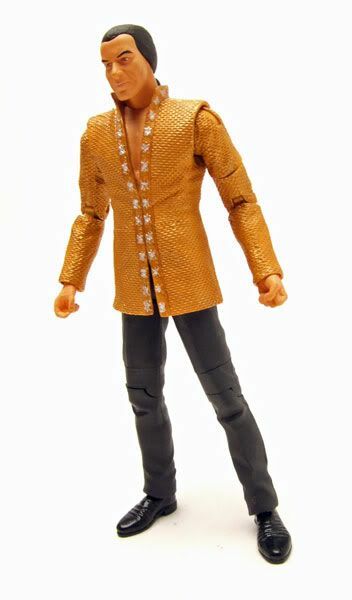 And he comes in a package with a pretty awesome Kirk variant too...which we'll tackle tomorrow.